Blog » Step into Spring with Scampston! Who says gardens are just for grown-ups to enjoy? 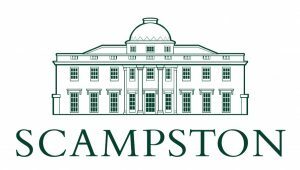 Scampston welcomes both young and old to explore everything that its beautiful garden and parkland have to offer. It’s always the first sign of the warmer, sunnier months to come – Scampston will re-open on Friday 5th April, when the spring bulbs are in bloom, and there will be lots to keep the whole family entertained over the Easter holidays. Scampston’s ever-popular Ryedale Community Weekend will take place on Saturday 13th and Sunday 14th April. Ryedale residents are invited to explore the gardens at Scampston for FREE over the course of the weekend. All you will need is proof of address, such as a driving license or utility bill – a great option for those looking for a cheap family day out, and a chance to explore Scampston’s new additions to the Enchanted Forest. Whilst you are here for the Community Weekend, why not take part in our Spring Wildlife Day on Sunday 14th April? Wildlife experts from Natural England, RSPB, Yorkshire Wildlife Trust and more will be offering some fantastic activities. Join us on this free family activity day and get hands-on with nature. Activities will include bird ringing, an insect safari and pond dipping. There will also be a variety of stalls to learn more about the local organisations that work to protect our countryside. Scampston’s fabulous Fairy Godmothers will be returning with some magical stories which will have your little ones enthralled! Children will be able to listen to stories before searching for Scampston’s resident enchanted creatures in the woodland. Scampston Storytelling will take place on Tuesday 16th and Friday 26th April. Admission will be free for all children in costumes on these days. Due to their huge popularity Scampston Conservatory will be running another Easter Fun Day on Friday 26th April, providing the perfect school holiday entertainment to give children the chance to get outdoors and creative, inspired by spring plants and animals. Come along and make a collection of lovely items to take home and participate in a nature walk across Scampston’s beautiful park. To book your child’s place contact rachel@scampston.co.uk or head to www.scampston.co.uk. And if that’s not enough, there will also be the chance for kids to get crafty on Easter Monday (22nd April), with Scampston’s Egg Painting and Rolling session! 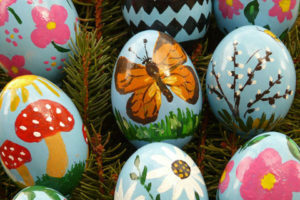 Take part in this traditional Easter activity and watch those brightly-coloured eggs roll. Usual entry fees apply and children must be accompanied by an adult. More information on all these activities can be found on the Scampston website.